There’s nothing better than a track day. Great cars on a great track are always great fun. Recently, we had the opportunity to check out the new M1 Concourse in Pontiac, MI, with two of the coolest cars in the game; a McLaren 570S and a Corvette Grand Sport. Driving the 570S was Autoblog senior editor Greg Migliore, and he didn’t hold back. Getting behind the wheel of the McLaren, Greg explains that although this is McLaren’s idea of a sports car, “it’s all relative.” Topping out at 204 miles per hour with 562 horsepower, there’s no two ways about it: this thing is a monster. While the 570S was fantastic, we had another sports car we wanted to drive and editor-in-chief Mike Austin was just the man for the job. Enter the Corvette Grand Sport. Mike pushed all 460 horses of the ‘Vette to the limit and came away impressed with the car, even calling it “the best Corvette.” Comparing it to its more powerful sibling, the Z06, Mike goes so far as to say the Z06 has too much power, while the Grand Sport seems to be the third bear’s bowl of porridge in the Corvette family… It’s just right. We captured all the action of the day with 360° cameras so you can feel like you’re right there in the car sitting shotgun with us! 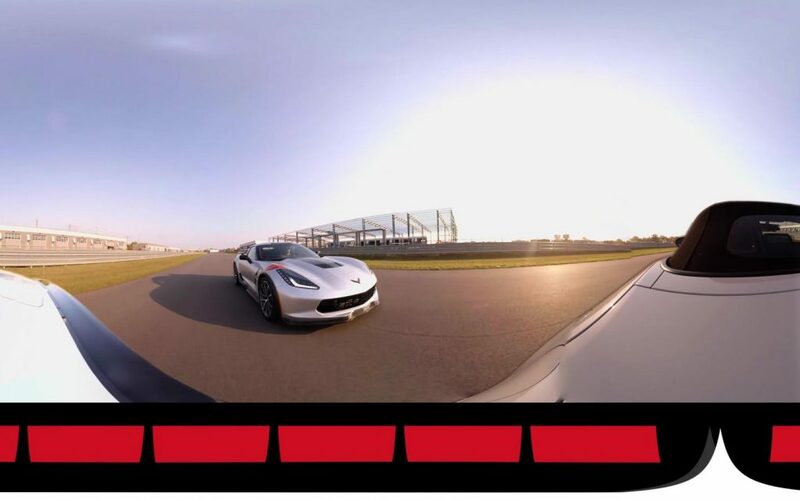 You can check out the McLaren and Corvette laps above, but the best way to view them is through the AutoblogVR app, where you can watch the videos on your VR headset or in a nice swivel-y office chair so you can take in the sights all around you. Each month, new episodes will launch on the AutoblogVR App. We’ll be posting them here on Autoblog, but for the best experience, head over to the app, which you can download for free from the App store and Google Play. Be sure to try it with a cardboard viewer, too!